Dust off your green waistcoat, take the Irish cream out of the cupboard, master your jig for the Ceilidh. 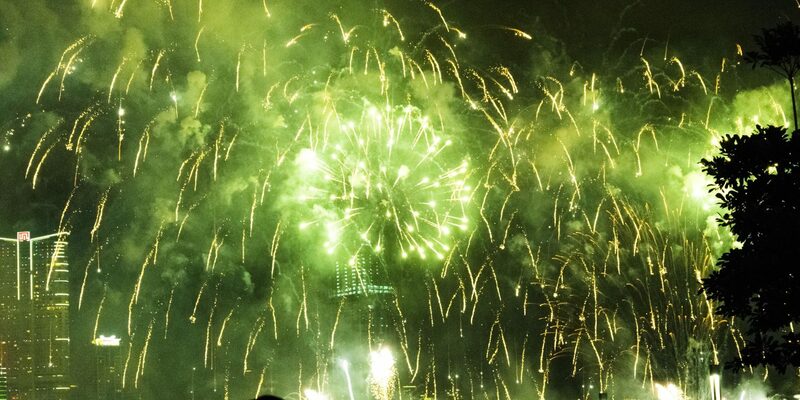 Yes, St Patrick’s Day 2019 is here and London is about to turn into a sea of green, with the normal parade planned plus a raft of other cultural happenings. Looking to join in with the festivities? Consider this your pre-event cheatsheet, covering off everything from the history of St Patrick’s Day right through to what to eat and drink. St Patrick was, surprisingly enough, the patron saint of Ireland, and is credited with bringing Christianity to the country in the fifth century. March 17 is thought to be the date of his death (probably around 461 AD – nailing exact dates is a little tricky), which eventually manifested into a celebration of his life and work in the first St Patrick’s Day parades, held not in Ireland but over in the United States in the eighteenth century. 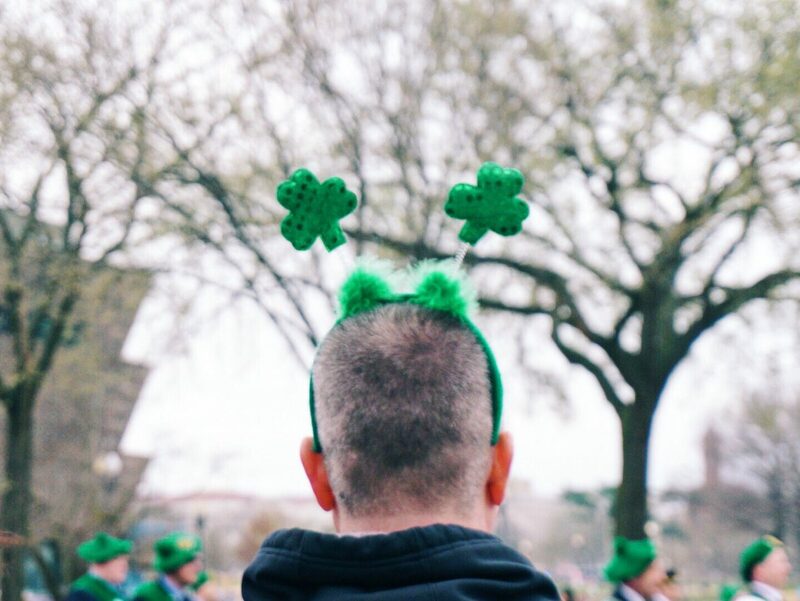 It took a while, but over time the day started becoming a regular fixture across the US and further afield, with the event marking a celebration of Irish culture across the world. London had been doing its fair share of SPD celebrating for a while, but its first official St Patrick’s Day Parade was held in 2002, as part of the larger St Patrick’s Day Festival. Since then, the festival has grown into one of the city’s calendar highlights, even if you haven’t got a jot of Irish heritage. Traditional Irish music, dancing, food and drink – a lot of people having a damn good time, basically. It may be a cliche to say that the Irish know how to throw a party, but they really, really do, and for that we should all be grateful. If you’re after something (a little) cultural, there are also Irish-themed film screenings, comedy, discussions and food and drink events happening. The capital’s official festival takes place from March 15-17 and the 2019 theme is #LondonIsOpen. More than 125,000 people are expected to take part, with all manner of events over the weekend, including an Irish film festival, a tea dance, comedy, walking tours, and a music trail. The main attraction, though, is still the parade on Sunday March 17, which is expected to attract over 50,000 people. The 1.5-mile route snakes from Green Park to Trafalgar Square and is chock-full of floats, music, dancing and general revelry, with numerous Irish cultural organisations leading the fun. Aside from the official festival, there are also a ton of St Patrick’s Day events taking place around the city. You won’t have to look hard to find them, but a few highlights include a mighty brunch at FEST Camden with Irish grub and bottomless Bloody Marys (don’t worry, they also serve Guinness), a St Patrick’s Party at BrewDog Tower Hill with Irish craft ales and modern Irish music to soundtrack your night, laughs aplenty at Funny Feckers in Hammersmith at the Irish Cultural Centre, and an afternoon of traditional Irish sounds at Shamrock Sessions in Boxpark Wembley, featuring a ceilidh from jig-masters The Shipsters. Ah yes, the ceilidh – pronounced ‘kay-lee’. For the uninitiated, this is an energetic dance fuelled by traditional Gaelic folk music. If you think that sounds quaint or twee, you’ve obviously never taken part in a ceilidh. They’re seriously lively affairs, where everyone (and we mean everyone) gets involved and gets thrown around a little, in a thoroughly friendly way. Don’t worry if you’ve never done one before, as the dances are led by a caller, who bellows out instructions. It’s a great way to burn off some of the Guinness calories. Speaking of calories, make room for a few extra if you’re getting your St Patrick’s Day on this year, as food and drink are an integral part of the festivities. Expect to see Guinness flowing freely at every turn, plus various other traditional-ish tipples, such as Irish whisky and cider, plus various Irish craft beers. Also look out for the mysterious green pints that can occasionally be found getting poured down happy throats come March 17. Don’t worry, it’s not washing-up liquid – it’s simply beer given an emerald makeover, usually via food colouring. It’s actually an American SPD invention and tradition, but there are always a few bars whose pints ‘go green’ in London, too. Food-wise, you’ll likely be munching hearty fare if you’re keeping it authentic; the likes of bacon and cabbage, soda bread and black pudding. Fear not, veggies and vegans, as any venue worth its salt will be able to provide meat and dairy-free options. Plus, we all know that Guinness is now vegan, so raise a glass and get involved – a phrase that sums up St Patrick’s Day celebrations pretty well, in fact. Tristan Parker is a freelance journalist based in London. He writes about culture, travel, music, food and drink, technology and sometimes things he knows very little about, which usually turns out to be quite fun. Or terrifying.